Looking for an authentic and quaint Japanese style noodle bar in Sydney? 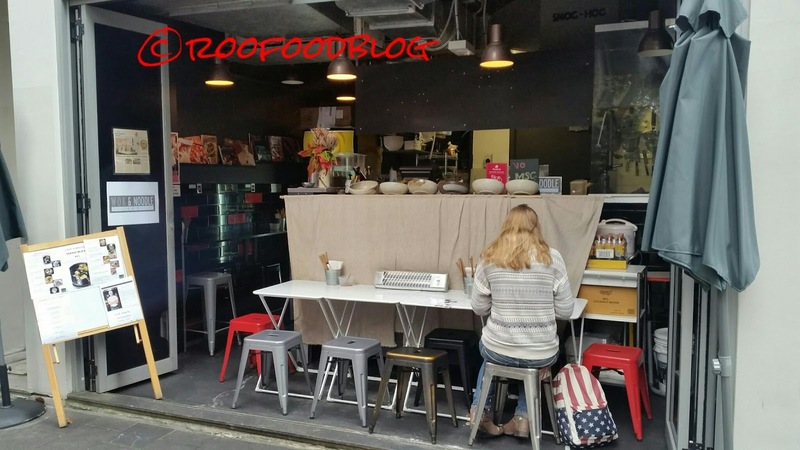 Head to Wok n’ Noodle Bar in Potts Point. Although the address is Shop 2, 119 Macleay Street Potts Point it is actually in Llankelly Place(tucked in behind Busshari). 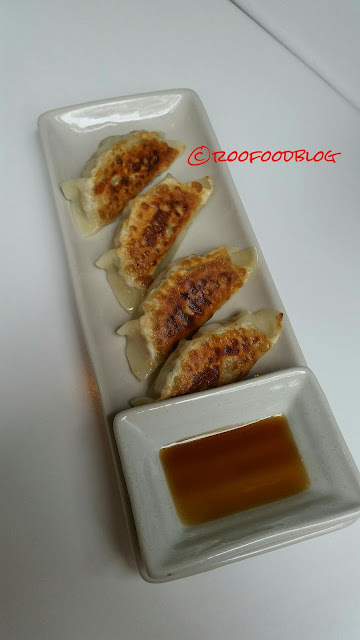 Wok and Noodle Bar were opened by the guys of Ramen Osan and have been opened for a few months. Seating only a handful of people at a time, this tiny kitchen overlooks its patrons and is genuinely authentic Japanese. We share a serve of the gyoza that are home made. 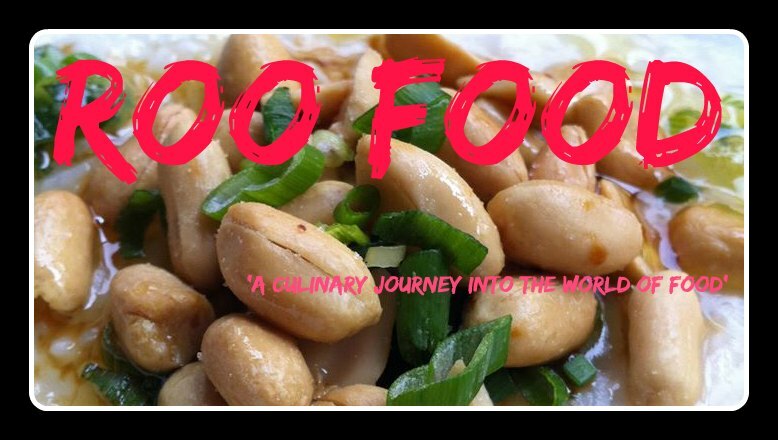 Fresh and full of pork, ginger and garlic with a chewy yet soft wrapping and a thin crispy bottom these are good! I have taken up on the recommendation to try the unique Sydney Black ramen. 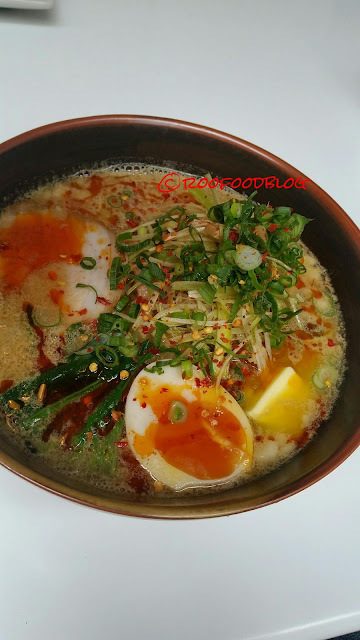 I’m intrigued and definitely find that I am starting to enjoy the varieties of ramen (remember it’s not that long since I really started to ‘get’ ramen). A piping hot bowl of ramen is served to me on this wet cold day and it’s the perfect weather for this variety of ramen (but anytime is a good time). It’s a nice size bowl of soup (not over the top large) and I instantly fall in love with the bamboo handles soup spoons that are offered up to use, along with chopsticks. 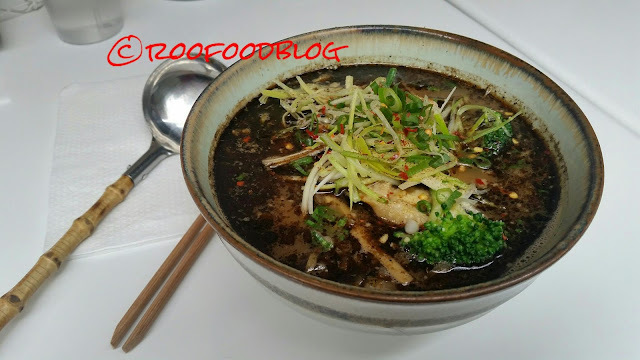 The soup base consists of both Chicken & seafood stock topped with a selection of pickled bamboo shoots, yam, broccoli, mushroom, onion, Chinese yam, black garlic oil and parmesan cheese. The black garlic paste floats on the top of the soup like a glorious oil slick and is nothing like I imagined but loved every bit of it! My dining buddy orders a bowl of the spicy miso ramen, which is a Hokkaido style ramen, it’s a spicy chicken stock, a soft gooey egg, shallots and other tidbits. The ramen here at Wok and Noodles is thinner and lighter than the Ramen O San counterpart but just as delicious and tasty. As Sydney in the grips of the ramen craze, you can rest assured that Wok and Noodles are at the top of their game. Definitely a place I will love to come back to soon.